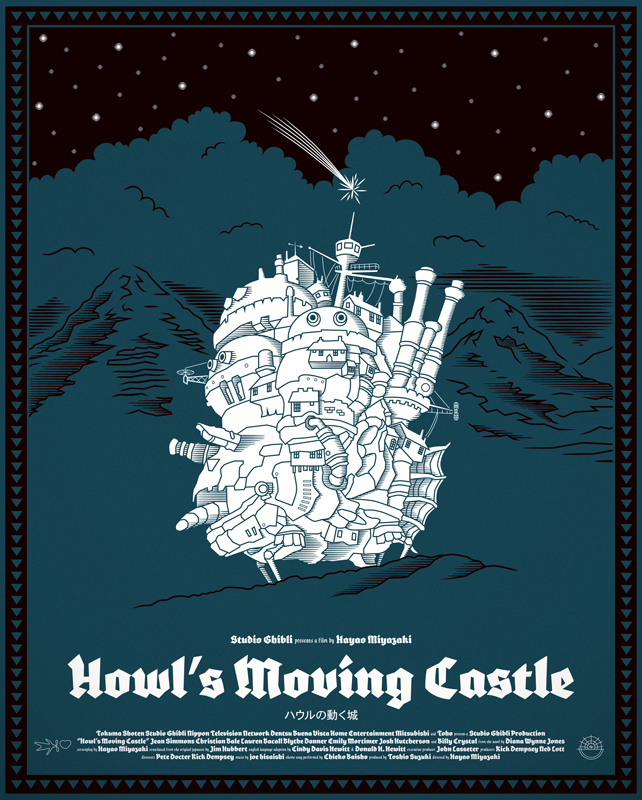 Hayao Miyazaki is one of my favorite filmakers and Howl's Moving Castle may be my favorite of his films. Whenever I've found time the last little while I've been working on a poster to display my affection for the film. This poster was inspired by an old book cover from Jules Verne's From the Earth to the Moon.